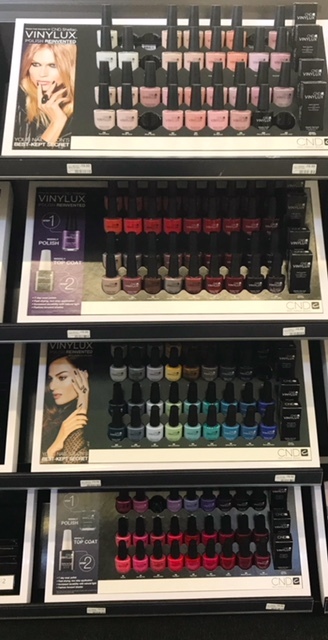 Did you know that CVS now sells CND Nail polish?! Well, I first saw it a few months ago but finally purchased a polish to see if it was worth the hype. Let me tell you, there’s a ton of shades of these polishes! It costs $10.50, a little expensive then usual but hey, you know I just love trying new polishes. 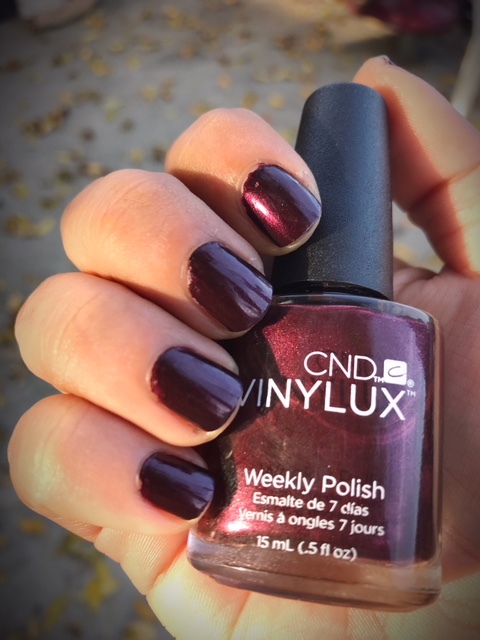 I got the CND Vinylux Weekly Polish in the shade Dark Lava. It’s a shimmery dark purple with a red tone and also a bit opaque. I think I’m a big fan of wine colored polishes for the most part!